Everyone hopes that their relationship with their significant other will last and continue to thrive. However, happy and healthy relationships take time, effort, and motivation from both parties. 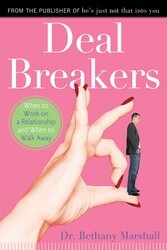 Dr. Bethany Marshall, author of DEAL BREAKERS, shares her advice on how to build a stronger relationship through 8 easy-to-follow tips. #1. Have Your Own Life. Regardless of what is happening in the relationship, go forward with your day. Honor yourself and make your own plans. If he does not call, go out. If he does not change, move on with your life. #2. Have regular conversations about the relationship. Find ways to get your message across. If you have told him what you need but he still does not hear you, say it in a different way. Perhaps you need to write it down. Perhaps you need to use language that he can understand. Perhaps you need to bring in a third party who can explain it to him (interpretive dance?). The problem may be clear to you but not to him. Be flexible, and take into account his personality and his differences. Keep in mind his personality type and use it as a guide. Do not obsess, and do not repeat the same thing over and over again. If he tells you that he has heard you, trust him. Fixating on your explanations will alienate him and cause him to withdraw. Ask yourself, What drew me to this man? This is the man you have chosen; this is the man you love. Accept him for who he is rather than who you hoped he would be—because if you don’t like him, there is no deal! #5. Try to understand his point of view. Put yourself in his shoes and try to see the situation through his eyes, even if you don’t want to. Listen to what he is saying rather than what you think he is saying. Do not become offended and do not be disturbed at what he is trying to tell you. Ask yourself, When he makes the changes I want, will I be appreciative, happy, and satisfied? Or do I need to be unhappy in order to be in this relationship? If you cannot be satisfied, then either 1) you need to be unhappy in order to avoid intimacy and you should work on your own problems, or 2) he is not the right man and you should set him free. #7. Invest in the relationship. #8. Seek help for serious problems. 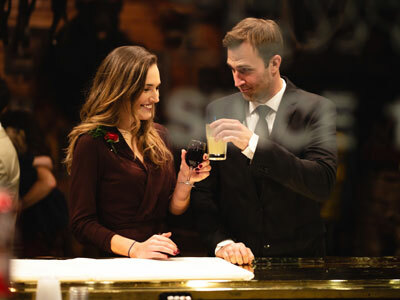 Want to know the secrets to building stronger and lasting relationships? 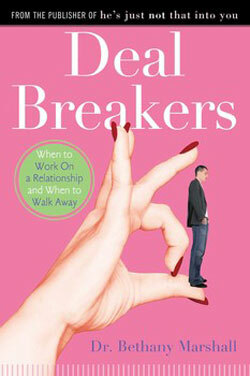 Check out DEAL BREAKERS by Dr. Bethany Marshall. Excerpted from Deal Breakers by Dr. Bethany Marshall. Copyright © 2008 by author. Used by permission of the publisher. All rights reserved. Photo by Gregory Hayes on Unsplash.